Details 2013 BMW X3 PREMIUM, SUNROOF, LEATHER. 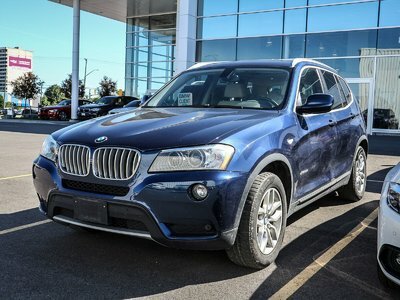 2013 BMW X3 xDrive28i with just over 100,000kms. Car is equipped with premium package and rear view camera with top view. This will give you things like panoramic sunroof, leather seating surface, power seats, heated seats and steering wheel, roof rails and much more. Financing options availible. Only at Elite BMW, Ottawa's BMW superstore!